In today’s unstable and harsh economy, running a gas station is not easy. Profit margins are low, while expenses are just too many. First, you have the inevitable repairs… a fuel dispenser too old to function, a canopy falling off! Then you have the pump upgrades. As such, if unnecessary repairs are also added to the bill, the situation can look really grim. And let’s be honest, we find them quite frequently on our list of expenses. So why not do something about them? Install protection screens to protect your pump against vandalism! Those mobs… they cost your pump a lot! They will damage your fuel dispensers, paint them in graffiti and wreck all kinds of havoc while you’re away. Protect your pump against vandalism by installing protection screens on your fuel dispensers. That way, you won’t have to worry about the broken LCD or a dispenser covered in graffiti. Regularly scheduled maintenance keeps your gas station equipment in good shape. It also helps identify any potential equipment issues before they turn too costly to handle. If you can’t perform regularly scheduled maintenance on your own, hire an petroleum service company on contract to do the job for you. Your storage tank holds the most precious commodity – the fuel! Unfortunately, your stored stock of fuel is always under the threat of contamination, particularly from water. Leaving the tank open or ignoring the corroded patch on a tank can easily give way to water infiltration. You will lose your precious stock of fuel, while the water will also cause further damage to your storage tank. Don’t let that happen; keep water away from the storage tanks. Any gas station repair—big or small—is a burden on your revenue. So make sure that you do a proper job on it. That means hiring a trained professional, using high-quality replacement parts – and keeping state and federal requirements in check. Quite often, gas station owners fail to check state and federal requirements when making a repair. Doing so, can risk compliance. Why upset the authorities, face penalties and re-do a repair from start? Check state and federal requirements before starting on a repair job and then proceed. 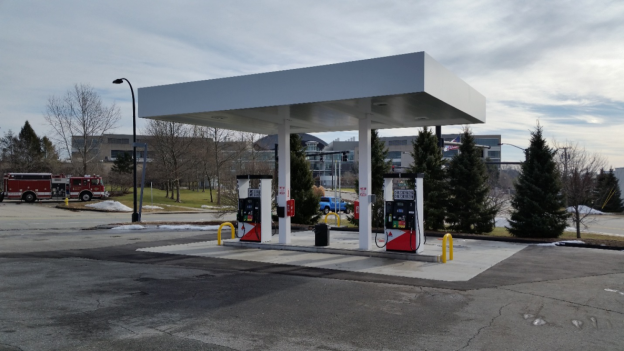 Looking for more helpful tips on running a gas station successfully and profitably? Check out our tips treasure box! We also deal in all types of gas station service essentials and equipment. So if you ever need a part, an equipment, a gas station hardware, feel free to contact us. « Fire at Gas Stations: Some Facts, Some Statistics and Some Prevention Tips!